Life force carried by October 1st is extremely strong but deeply shaken by the impact of issues from the past. It is the first point since the beginning of autumn where the depth of ancestral heritage comes to light, so to be seen, recognized, accepted, and used as a foundation for growth. People born on this date are full of life and often limited by stiff structures that hold them back, leading them to believe that their abilities aren’t as vast as their instincts are telling them they are. Luckily, they are. People born on October 1st have a link to the energy source in the center of the Earth but aren’t sure how to handle the strong push they feel from within. Their story is one of fallen Sun meant to rise, after they will deal with deep changes needed to reach the point of self-recognition that allows them to move. Creative and filled with potential, their deeply stirred energies should be brought to order and start working for them instead of working against them. Unconscious tendencies will often lead them into dangerous situations or circumstances that take away their power, and they are to deal with fear of intense activity in order to make the progress they wish to make. "A Blazing Fireplace in a Deserted Home"
The force of fiery energies in those born on this date is obvious in this Sabian symbol. It is important to acknowledge the warmth and danger of fire they carry within, understanding that the emotional foundation is necessary for this image to be complete. This symbol speaks of their inability to shine around others, often within their family and their primal surroundings, feeling lonely in their truest passions and creative energies, unable to share what they’ve been blessed with. To get out of the loop of inadequacy and shine brightly in the outer world, they are to work on emotional issues and sense the state of their heart and soul. Once they connect on deeply intimate planes, they will see that their strength within is there to be used, not to be contained, and be less destructive towards their own tendencies as they learn to channel them. With the purpose in lives of Libras born on October 1st found in the symbolism of the Moon, emotional clarity is their goal in this lifetime. They are to reach the point of contact, intimate and slow, gentle with their own intentions and their heart. It isn’t easy to accept all emotions with the list of entities we’ve seen so far, but tenderness and close contact give rewards that are worth any trouble they might go through. Pulled to create their own family, the social circle that is supportive and warm, they will find themselves building a home that is entirely different than the one they came from. In their search for intimacy, individuals born on the 1st of October will stumble upon many relationships that boost or trouble their ego, and face challenges that make it impossible for two extremely different personalities to find middle ground. As they grow older, their heart is to become more mellow and accepting. As they slowly put their guard down and lower their walls, they will find rewarding contacts and relationships that push them forwards instead of holding them back. With enough closeness and shared understanding, they will commit to one person for life and be ready to create a new family that stands out from the system they have seemingly learned to be their only option. The creativity they feel when connecting in such intimate ways raises the awareness of their sexuality to an entirely new level and makes them become people they always wanted to be. Inspired by a partner who understands them deeply, there is nothing they cannot create and become. 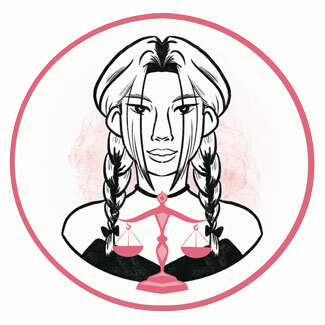 A Libra born on October 1st has hidden organizational skills that help them excel in all forms and shapes of management and responsibility over large systems. Once they overcome their problems with authority figures, they become excellent authorities themselves, and make great politicians, aware of necessities of their position and ready to take responsibility for people they are meant to lead. To manage their personal power, those born on October 1st can use golden yellow labradorite. It is a stone that balances energies held within, aiding them to show what they are made of in a sensitive way instead of bursting when too many emotions pile up. Strengthening their creative gifts, it will bring feminine energies in line with their masculine inner push and help them act on the feel of the moment in proper ways with the easy flow they are in search for. A birthday gift for Libras born on the 1st of October may be anything that gives light, a snow globe or a round trinket for their home that will fit their current surroundings. You can also go with a picado set, something to give them focus and help them see where the center of their issues hides, this including shooting lessons, archery, or a bow and arrow. Their love of theater and cinema makes it easy to organize a night out for their birthday, and they would probably love to meet someone famous to sense their own inner energies in such contact. 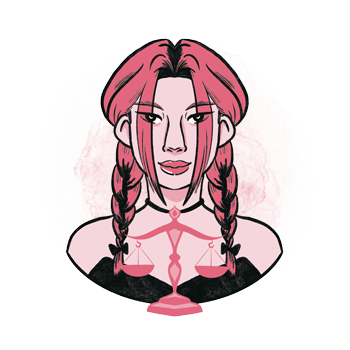 With clear views, they are deep, thorough and responsible, ready to act on impulse when they learn how to do so without endangering others and themselves. They are leaders and peacemakers who find the golden middle between conflicted people, societies and nations. Stuck in their own inability to express and show their true nature, they go with the pull of society and close social contacts, allowing too many people to be their imposed authority. As frustration builds, they become stiff, impossible to work with, judgmental and vindictive. In 1935 Julie Andrews was born, an English actress, author and singer, acting singe childhood and rising to prominence with her role of Mary Poppins for which she got an Academy Award. She was conceived out of an affair her mother had with a family friend and she grew up with "two fathers", calling her stepfather "pop" while her biological father remained "dad". In 1940 Steve O’Rourke was born, an Englishman who built two separate careers, one in car driving and the other as a well-known manager of Pink Floyd. With both directions respected and highly successful, he manifested the strength of two suns in his planetary row. In 1981 Rupert Friend was born, an English actor, screenwriter and producer, known for his roles in Pride and Prejudice, The Young Victoria and series Homeland. Originally he wanted to become an archaeologist so he would travel around the world, inspired by the movie Indiana Jones and the Last Crusade. 959 – The beginning of the reign of Edgar the Peaceful in England. 1861 – First issue of Mrs Beeton's Book of Household Management that sold in 60,000 copies in its first year and remains in print to this day. 1880 – Opening of the first electric lamp factory. 1891 – Doors to the Stanford University in California are opened. 1957 – U. S. Paper currency is printed with the slogan "In God we trust" for the first time. 1969 – The first time that a practical CT scanner is used for diagnosis.